This week, Why Haven't You Seen...? pays tribute to one of the greats, a man who changed horror cinema irrevocably with his second film, The Texas Chain Saw Massacre and made many other great and interesting contributions to the genre. Tobe Hooper will be missed. A couple (Angela Bettis and Brent Roam) move into an apartment in a building that is being renovated. As soon as she moves in, Nell begins to feel unsettled, all the more so when a new friend (Juliet Landau) disappears. With the help of an old man (Rance Howard) who has lived in the building for almost 60 years, Nell discovers that there's more to her new home than meets the eye and that the reason for the murders that have been happening lies inside the building. This is an early entry in what now seems an unstoppable cycle of remakes, initiated by the 2003 take on The Texas Chain Saw Massacre, but it never looked like a particularly inspiring one. It's fair to say that director Tobe Hooper hadn't been on a winning streak, working mostly in TV in the 90s and The Toolbox Murders, a sleazy entry in the Video Nasties list with little to recommend it, is hardly, on the face of it, the most interesting of properties. 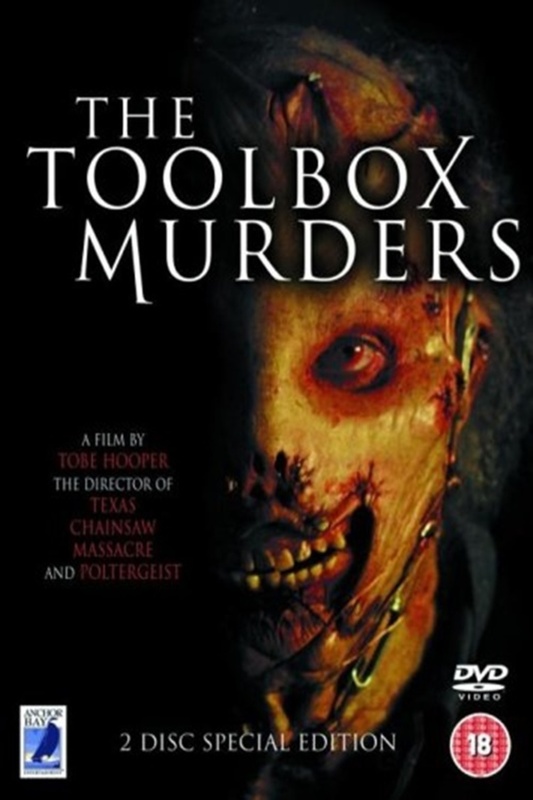 Toolbox Murders isn't The Texas Chain Saw Massacre. It breaks no new ground, it won't have multi-generational impact on what we talk about when we talk about horror cinema. That said, what it is is the work of a genre craftsman cutting loose, acknowledging his legacy and giving his creative muscles the best workout they had had in almost 2 decades. 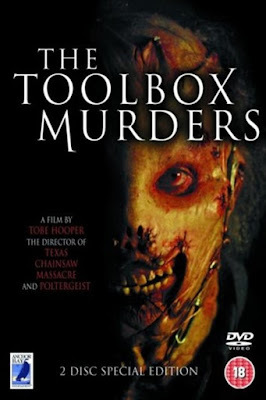 I haven't checked this, but from watching the film I had the feeling that the screenplay may not have started as a remake of The Toolbox Murders. The first two acts have a very different flavour; a creepier more occultish horror that seems to lean on the idea of a building having insidious influence over its residents (like the teen who uses a webcam to spy on Juliet Landau, or the couple whose fights disturb Belle) and perhaps even housing a few ghostly figures (Rance Howard's character, for instance). During this first hour, Hooper generates an otherworldly atmosphere and creates the feeling of the building as something with a history and a malign influence. The murders, gruesome as they are (a clump of hair stuck to a hammer in the first killing is an especially nasty little detail), feel almost bolted on at this point, and when the film moves into its third act it's as if it has suddenly become something different, shifting from creeping fear with some short sharp shocks into a bloody and nasty slasher. The third act could just be seen as the standard slasher moves, but what's interesting is the fact that Hooper often seems to be looking back on his own work. The killer (who is pictured on the DVD sleeve, so this doesn't feel like a spoiler) is revealed as a mutant referred to as Coffin Baby and the design seems to be part Leatherface and part Funhouse. The first time we see him properly, sitting at a table looking in a mirror, is highly reminiscent of an iconic moment with Leatherface in the original Chainsaw. There are many more nods for fans to spot, from a moment that Nell and her husband fall into a room full of bodies, which looks to Poltergeist for inspiration to when Nell is tied to a table, with a circular saw running, coming up between her legs in a clear allusion to Leatherface's attack on Stretch in Texas Chainsaw Massacre 2. Hooper doesn't wink too hard at us with any of this, but it's all there for us to catch if we care to, and I take it as sign of a director having fun with this movie and with his own work. All this said, those standard slasher moves are present, and Hooper executes them with the eye of an old pro. He's not reinventing the wheel here, but it's an effectively grimy climax, even if it feels like it belongs to another film than the one he started out making here. Toolbox Murders is occasionally a clunky film, but the reason it works, aside from Hooper's direction, is Angela Bettis. Bettis is a great talent who has never really got the recognition she deserves outside genre circles. Nell isn't her most complex role, but Bettis never feels less than real in the role, as her concerns go from unfounded - a funny scene where she accidentally calls the cops on an actor running lines - to something much deeper when her new friend Julia disappears. Juliet Landau and Rance Howard also stand out. Landau takes a role miles from her detached, insane, Drusilla on Buffy the Vampire Slayer and makes an impression with not that much to work with, while Howard is effectively mysterious about his character's origins and motives. As I've said, Toolbox Murders is far from a perfect film, but it's never less than entertaining to watch. I'd be intrigued to see the third act of the film it feels like Hooper is making up until the hour mark, but it's hard to mind when he has as much fun cutting loose in the last half hour and creates as many well paced slasher scares as he does here. While you're watching his Texas Chainsaw films, or Lifeforce, or The Funhouse, or Poltergeist in tribute to him it's worth making space for this flawed but interesting entry in his filmography. You can see the film on Shudder in the US, but the UK DVD is the best buy. It includes 2 commentaries, one with Hooper, and a bonus disc including the excellent feature length documentary The American Nightmare. Prices for the UK DVD start at 73p on Amazon.